It’s a question that’s easily answered for celebrities, business leaders and heads of state, but how do you get between engagements when you’re a pre-eminent trophy…? Okay, you may not have devoted that much brain space to the issue before now. And I know that not everyone is obsessed with soccer. But with 209 participating countries, an expected TV audience of over 1 billion for just the final game and a cumulative tournament audience of several billions, the FIFA World Cup’s constituency is only surpassed by communities like ‘people who breathe for a living’. 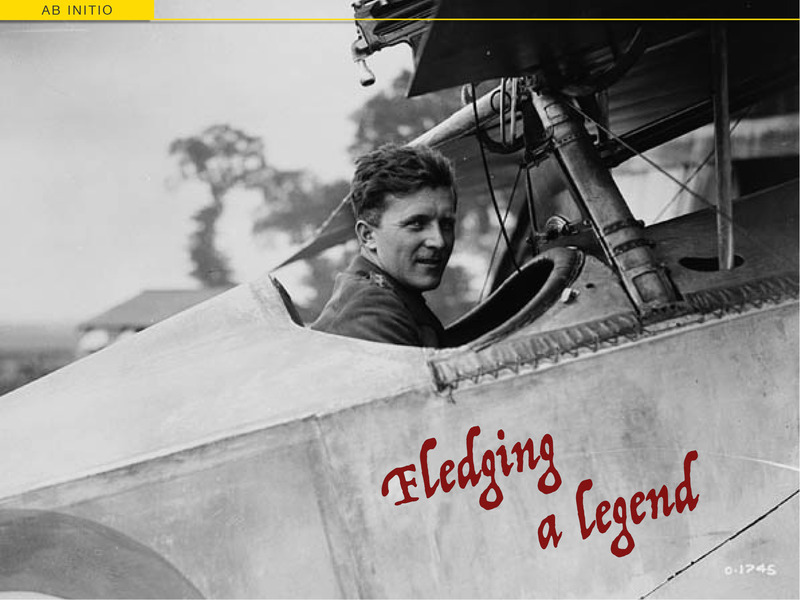 Happily, airscape regular Niel Swart – our South African lensman – has come through with the answers. Thanks to some serendipitous timing and the kindness of Johannesburg FBO Fireblade Aviation, Niel was treated to a ‘meet and greet’ with the FIFA World Cup™ when it touched down in Johannesburg earlier this month. 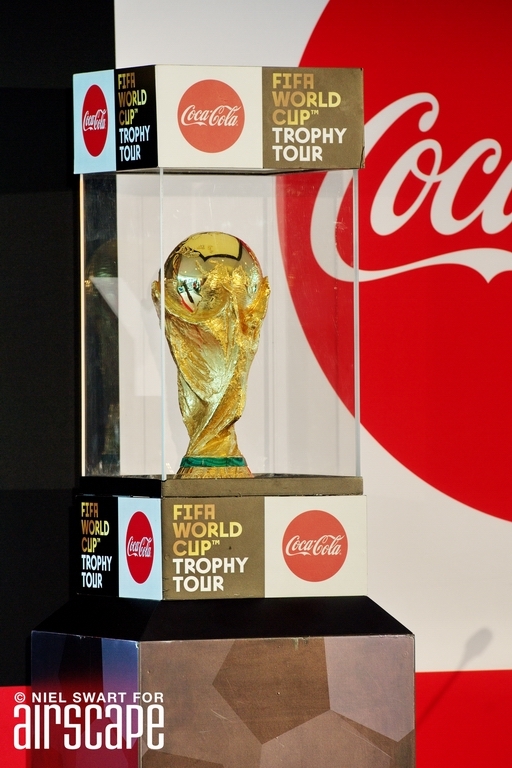 Officially styled the ‘FIFA World Cup™ Trophy Tour by Coca-Cola’, the global roadshow is currently criss-crossing more than 50 countries in 6 continents. By the time you read this it will be heading back into Europe via Nigeria and Egypt, before flying on to fans in Latin America, North America and the Far East – and then back to Russia for the main event starting in June. This really is something you don’t see every day. Business jets are frequently hired for friends, families, colleagues and clients. Even pets. But how often does someone charter a BBJ for the tableware?? 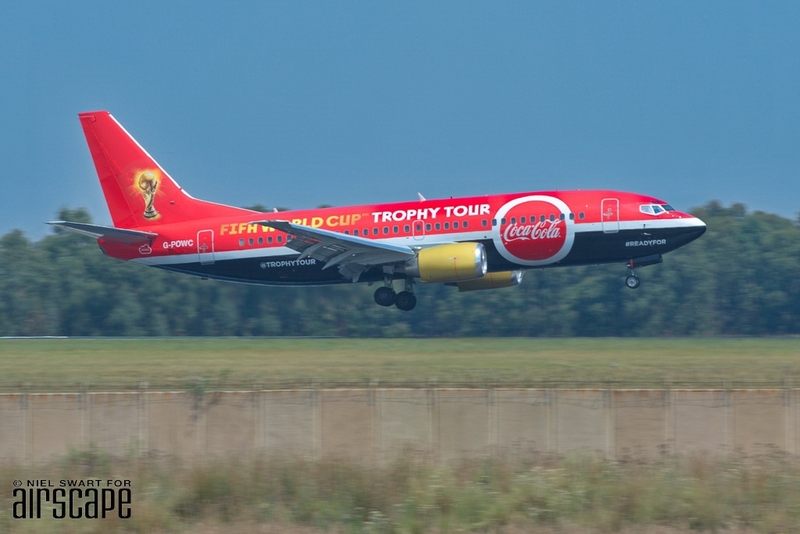 Definitely one for the livery collectors, this is B737 G-POWC in its unique FIFA World Cup™ Trophy Tour by Coca-Cola scheme, on arrival in Johannesburg, South Africa on Thursday, March 1st – then on the ramp at Fireblade Aviation. The only passenger in first class is the FIFA World Cup™ Trophy. One seriously world-famous passenger – the FIFA World Cup™ Trophy. The cabin interior is decorated with Tour destinations. Cast in 18 karat gold with a green malachite (copper ore) base, ‘The Cup’ is 36.8 cm (14.5 in) high and weighs a hefty 6.1 kg (13.45 lb). As an interesting side-bar, this trophy was introduced in 1974 after its predecessor, the star-crossed Jules Rimet Trophy, was won outright by Brazil at the 1970 tournament. The staff and retainers of that glamorous but undemanding passenger. At the official reception, hosted by Coca-Cola at Fireblade Aviation, guests included the World Tour flight crew plus South African notables Danny Jordaan (SAFA President); football great Lucas Radebe (past Captain for Leeds United and South Africa, and the late Nelson Mandela’s personal hero); local musician Casper Nyovest who co-wrote the offical 2018 tournament song ‘Colours’; South Africa’s new Minister of Sport Thokozile Xasa; and Brad Ross from Coca-Cola. And finally, a little background on Boeing 737-33A, G-POWC (msn 25402)… Built at Boeing’s Renton factory in 1991 and delivered as a QC (Quick Conversion) passenger/cargo hybrid it was delivered to leasing agent Ansett Worldwide in November that year as N33AW. They promptly rented the aircraft to Falcon Air of Malmo, Sweden, who registered it locally as SE-DPB for their mixed services across Europe. When that airline ceased operation in 2006, #25402 was stored briefly, before being sold to the UK as G-POWC in April 2007. If you’d like to see more from Africa’s hugely diverse aviation community, follow airscape now for further coverage by Niel Swart – including this year’s upcoming African Aviation and Aerospace Expo (AAD2018) in September. In the meantime, you can check out Niel’s shots from AAD2016 here.